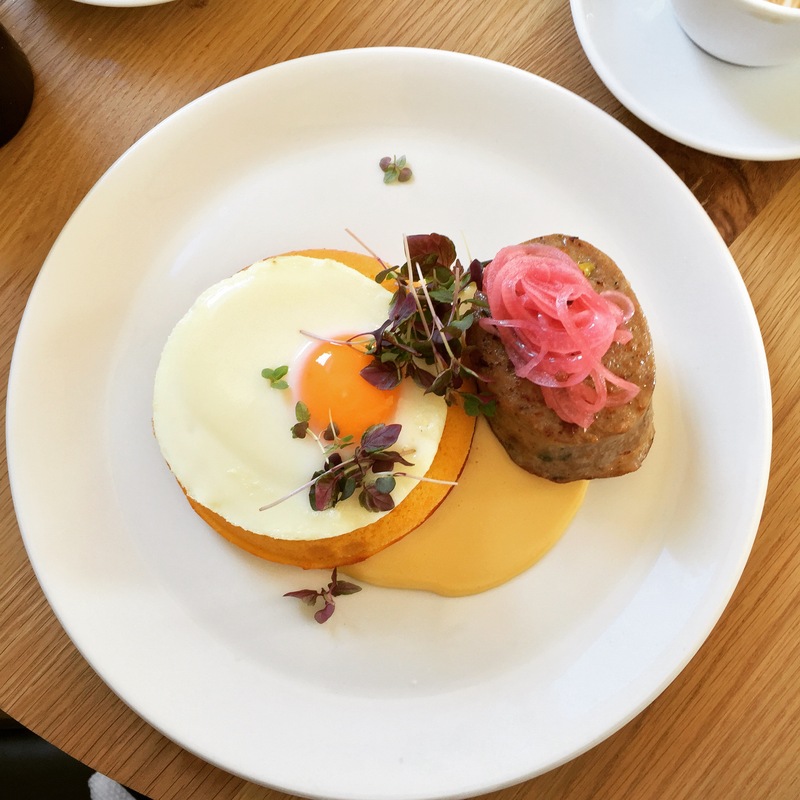 Melbourne’s brunch scene is constantly evolving with new cafes serving contemporary dishes. A donut burger? 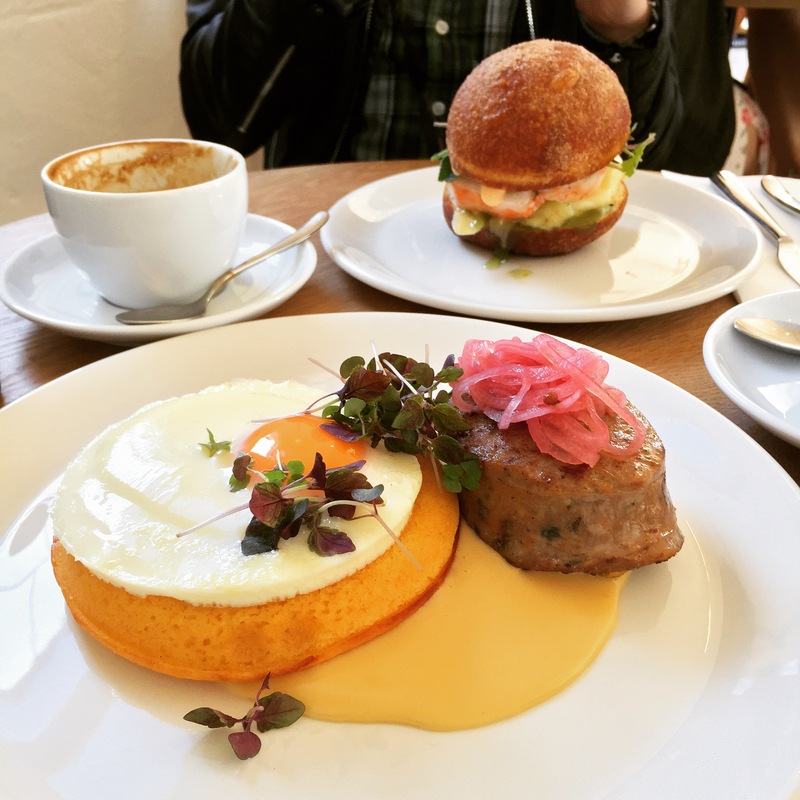 A duck sausage Benedict? 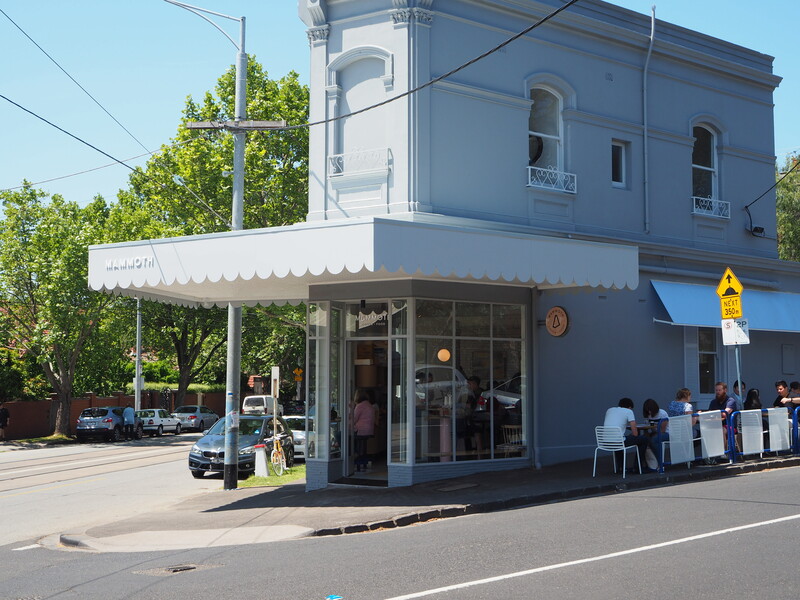 Of course I had to forget about my list of cafes-to-try (for now) and head to Mammoth in Armadale at my earliest opportunity! The talk of the town is definitely the lobster donut burger. Lobster chunks sandwiched between doughnut halves, with green mango and papaya slaw, cucumber jam and siracha mayo. I was really curious to taste how a sweet pastry would pair with one of the tastiest seafood. Thankfully, the combination of sweet and savoury turned out pleasant. The lobster and thinly sliced green mango combo was refreshing and it paired surprisingly well with the understated sweetness from the doughnut. It was quite different from other lobster burgers or rolls I’ve tried, Mammoth’s version tasted much lighter. That perfect circular fried egg, topped on a perfect circular blini (Russian pancake). This plating is a work of art! I simply loved the hollandaise sauce, the smoked maple flavour added subtle sweetness to an otherwise lemony/buttery sauce – it has definitely become my favourite hollandaise sauce! I am glad that Mammoth nailed their sweet/savoury combinations. Unlike most other pancakes or hotcakes that tend to be entirely sweet, the duck sausage added a pleasant savoury component. The portion of the blini was just right, I didn’t feel like I had devoured a carb-loaded meal. As a pancake lover, this dish definitely hit it off for me! I am definite going to return, not just for The Benedict but to try their other unique, quirky and inventive dishes! What should I order next … Egg brulee? Char spanner crab egg crepe? Lavender bagel? Egg and bacon popcorn? Golden Gaytime panna cotta?